CYP HDBaseT 2.0 Transmitter Over Single Cat5e/6. 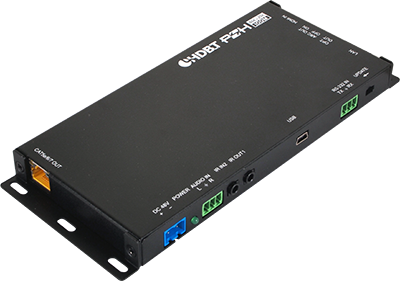 HDMI, COAX RCA, Stereo RCA, 3.5mm stereo, USB, RJ45 and RS232 inputs. PoE to power receiver. Bidirectional LAN & digital audio.